You are looking at the first images of the Samsung Galaxy Note 2 that is headed to Verizon. 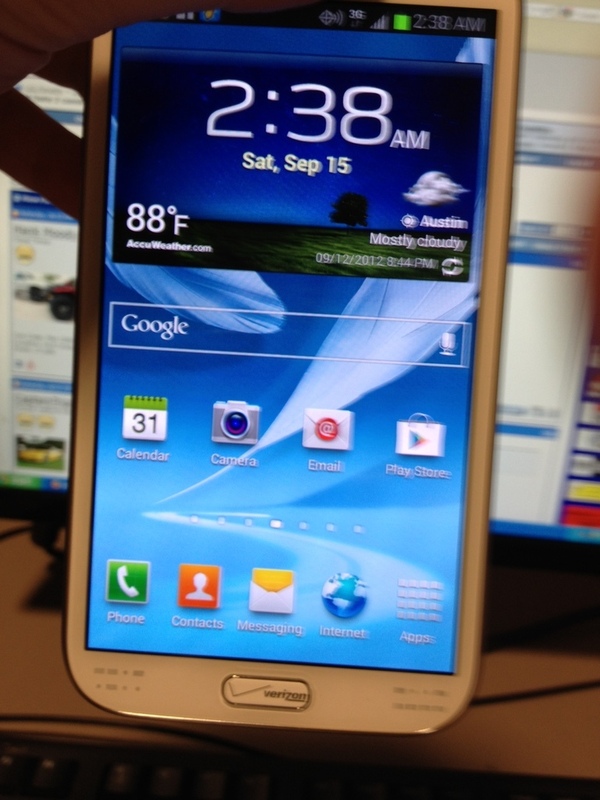 Yep, it looks exactly like the international Galaxy Note 2 that we played with earlier this week, but that is to be expected. After Samsung released the Galaxy S3 in one form factor across the globe, we sort of figured they would do the same with the new Note. Well, there is one difference from the international version, and that would be the carrier branding we are seeing on the back and…wait for it…on the physical home button. As you can see pictured below, Verizon has decided that the physical home button is the perfect spot for their name to be blasted across. I’m actually a little speechless on this one. I can only hope that this is some test unit and that retail units won’t have a “Verizon” home button, but that would probably be silly of me. 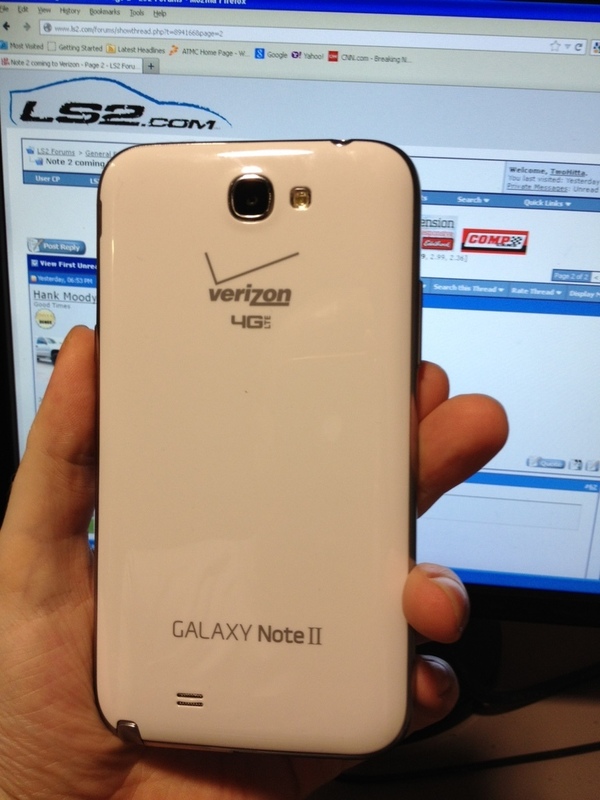 I guess the giant “Verizon 4G LTE” on the back of a 5.5″ device just wasn’t enough. Now, every time you press “Home” you get a reminder of who your daddy is. What do you think? Will the Verizon logo make retail units?